Over 500 students participate in Hope's athletic program each year. Our student-athletes and teacher-coaches are passionate about using sport, academics and service to shape their time at Hope College. Today, you can join their team by making a gift to the Orange & Blue Fund. Gifts supplement existing resources and are used to enhance the student-athlete experience by supporting the area of greatest need within athletics. In addition, gifts provide access to a college education for all Hope College students. At Hope, intercollegiate sport is a powerful vehicle for education and personal development. The mission of Hope Athletics is to promote and provide programs defined by competitive excellence and transformational experiences. 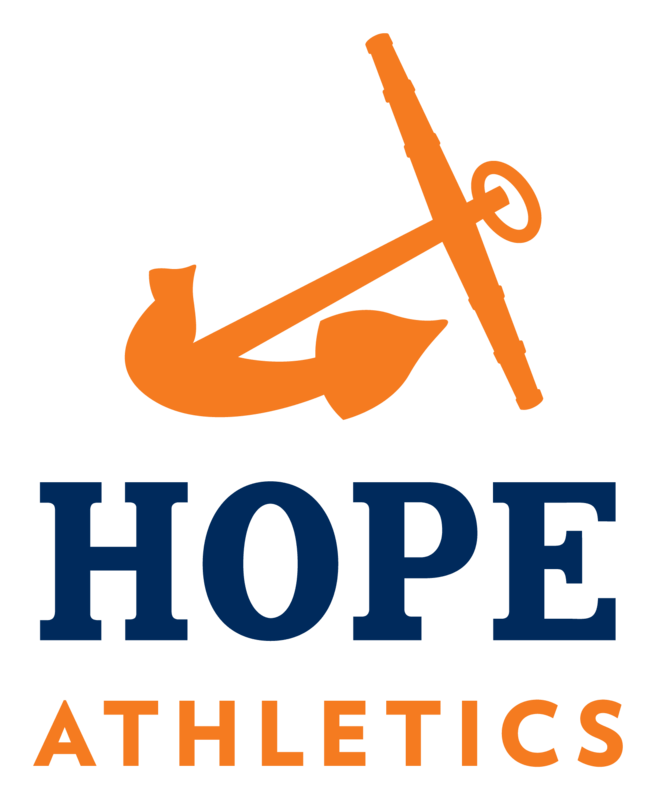 Hope aims to be a national leader and the premier athletics program in the MIAA, with all teams regularly competing for conference championships. In addition, we strive for academic excellence evidenced by high retention and graduation rates. We are committed to the utmost integrity in competition, the engagement in Christian faith formation, and are dedicated to excelling in sports, academics and life. Hope is grateful for the alumni, families and fans who support our Flying Dutchmen and Flying Dutch teams and student-athletes. Our fans are the best in the nation and give our teams a significant advantage through their promotion and support. Help build a championship and transformational athletics program and give today. If you are a Hope College graduate that participated in athletics during your time on campus, you are automatically a member of H-Club. H-Club exists to connect, support and promote. Members are invited to special events and receive updates throughout the year about their sport. Programs exist to connect alumni to each other and to today's student-athletes. You can learn more at hope.edu/h-club. Members of H-Club are able to make a difference for the programs they love through supporting the Orange & Blue Fund. Make a gift today. During the spring of 2016 Hope launched an online crowdfunding platform to connect you with students and faculty in ways that empower philanthropy and make a direct and meaningful difference. This year the Hope Fund is utilizing this platform to share the serious need of student scholarships in a fun and engaging way. Make a gift and spread the word!